In 2098, the world will mark 100 years since the first isolation of human embryonic stem cells. The historians of that time undoubtedly will praise the countless stem cell researchers who fought incurable, chronic disease and won – saving lives and transforming medicine in the process. But they’ll also applaud the efforts of non-scientists like Don Reed, a tenacious advocate for stem cell research and for people living with chronic disease and disability. 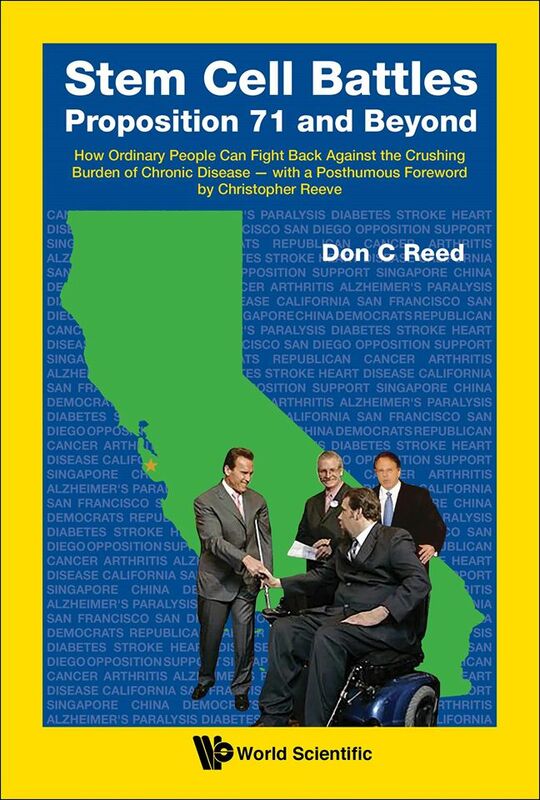 No doubt those future historians will heavily reference Don’s soon to be released book, STEM CELL BATTLES: Proposition 71 and Beyond: How Ordinary People Can Fight Back Against the Crushing Burden of Chronic Disease. Through first-hand accounts, he chronicles the early battles to get human stem cell research off the ground in California, the progress that’s been made so far and the promise for future therapies. It’s no coincidence that Stem Cell Battles will hit the bookshelves on October 14th, World Stem Cell Awareness Day. In anticipation of the book’s release, Don will blog every Wednesday from now until then. Each week, the blog series will focus on one incurable disease or injury and describe the CIRM-funded project teams aiming to develop stem cell-based treatments. Yesterday’s blog is devoted to Amyotrophic Lateral Sclerosis (ALS) commonly known as Lou Gehrig’s disease. We enjoy his easy to understand writing style peppered with concrete statistics that puts the disease’s impact in perspective. We also appreciate the fact Don speaks highly of CIRM’s accomplishments. But please know that we didn’t put him up to it. We are not paying Don or doing anything other than providing him with whatever information he asked for, the same way we work with any journalist, writer or member of the public. Follow Don’s disease-a-week series at his blog, Stem Cell Battles. ← Faster, better, more efficient. Challenging? That too. An update on CIRM 2.0.